Halmstad Colloquium is an international speaker series open to the public. The lectures are also filmed and published on the University's Youtube channel. Distinguished speakers from universities, research organisations and companies around the world are invited to Halmstad Colloquium to talk about topics related to the research environment Information Technology. The speaker series was founded by Walid Taha at the School of Information Technology in 2012. The computation of guaranteed state enclosures has a large variety of applications in engineering if initial value problems for sets of ordinary differential equations are concerned. One possible scenario is the use of such state enclosures in the design and verification of linear and nonlinear feedback controllers as well as in predictive control procedures. In many of these applications, system models are characterized by a dominant linear part (commonly after a suitable coordinate transformation) and by a not fully negligible nonlinear part. To compute guaranteed state enclosures for such systems, general purpose approaches relying on a Taylor series expansion of the solution can be employed. However, they do not exploit knowledge about the specific system structure. The exponential state enclosure technique makes use of this structure, allowing users to compute tight enclosures that contract over time for asymptotically stable dynamics. This paper firstly gives an overview of exponential enclosure techniques, implemented as a generalization of ValEncIA-IVP, and secondly focuses on extensions to dynamic systems with single and multiple conjugate complex eigenvalues. 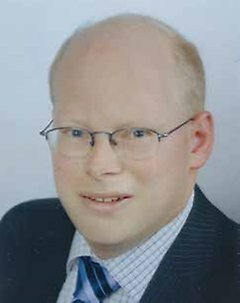 Andreas Rauh received his diploma degree in electrical engineering and information technology from the Technische Universität München, Munich, Germany, in 2001 and his PhD degree (Dr.-Ing.) from the University of Ulm, Germany, in 2008. He completed his habilitation at the Faculty of Mechanical Engineering and Marine Technology at the University of Rostock in 2017 (equivalent to the venia legendi). He has published more than 120 articles and chapters in edited books, international conferences and peer-reviewed journals. His research interests are: state and parameter estimation for stochastic and set-valued uncertainties, verified simulation of nonlinear uncertain systems, nonlinear, robust, and optimal control, interval methods for ordinary differential equations as well as differential-algebraic systems. Dr. Rauh is currently with the Chair of Mechatronics, University of Rostock, Germany, as post-doctoral researcher. Among others, he has been a member of the IEEE 1788 Working Group for the Standardization of Interval Arithmetic since 2008. When dealing with intervals, several tasks such as the computation of guaranteed state enclosures, the design of interval observers, forecasting worst-case bounds for selected system outputs in predictive control, and the identification of unknown parameters can be difficult to handle due to the wrapping effect. A way around that can be the use of cooperativity of the uncertain dynamic systems. Although many system models in biological, chemical, and medical applications are naturally cooperative, there is also a great number of systems (typically from the fields of electric, magnetic, and mechanical applications) which do not show this property if the state equations are derived using first-principle techniques. Hence, it is often desired to transform such system models into an equivalent cooperative form. Unfortunately, these transformations are often not straightforward, especially, if linear systems and nonlinear ones with state-dependent system matrices are subject to bounded parameter uncertainty. The presentation will show two approaches for the transformation of state equations into a cooperative form for which the original system models do not fulfill sufficient criteria for cooperativity in their basic formulation. 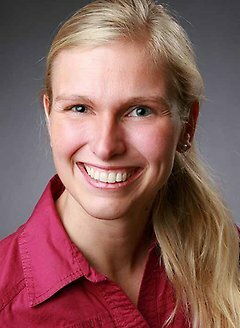 Julia Kersten got her Master of Science in Mechanical Engineering from the University of Rostock in 2014. Since then, the PhD student is working as a researcher at the Chair of Mechatronics. Her research deals mainly with the optimization of efficiency and reliability of energy systems based on robust interval-based control under consideration of uncertainties and nonlinearities. All lectures can be viewed at Halmstad University’s Youtube channel in the Halmstad Colloquium playlist. 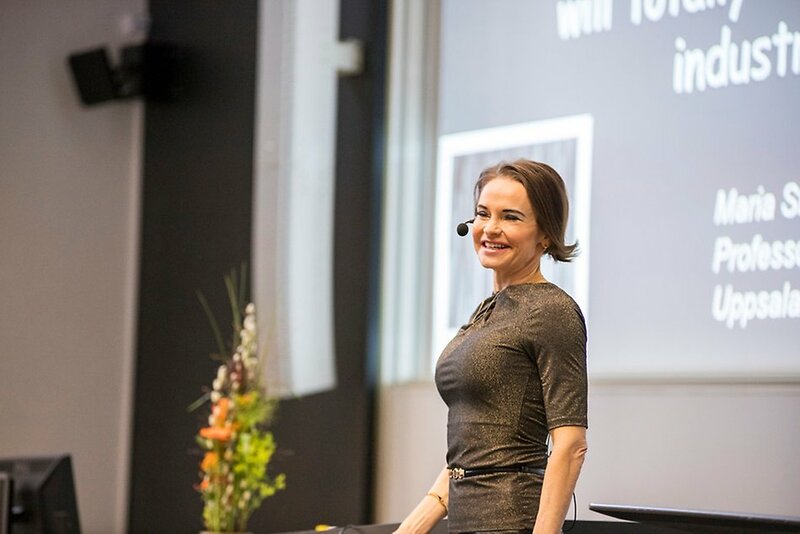 Maria Strømme, Professor of Nanotechnology at Uppsala University, gave an inspiring lecture at Halmstad University on October 16 2018 about the endless possibilities with nanotechnology.